Houses for steel-mill workers dot the land around a steel mill in Birmingham, photographed in May 1939. 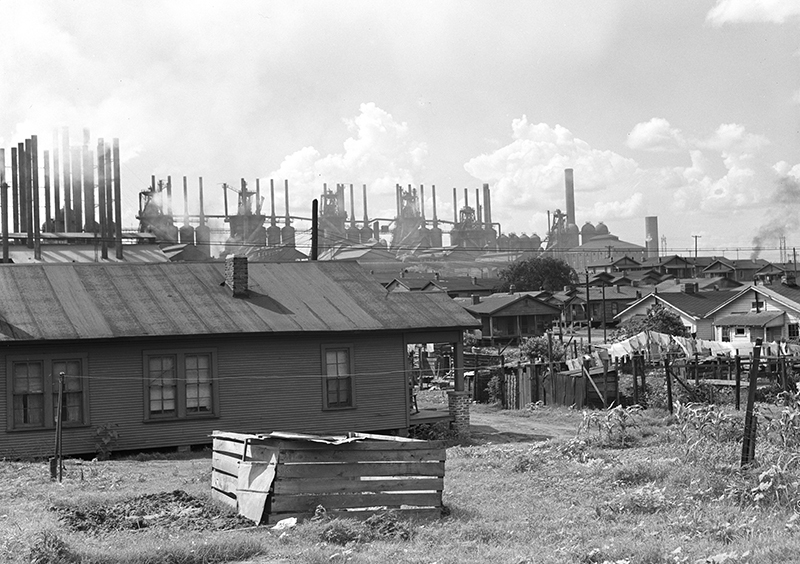 Several of the communities around Birmingham and other industrial cities began as worker housing centers. Courtesy of Library of Congress. Photograph by Marion Post Wolcott.